Posted by occhristiancounseling in Dr. Curtis Lehmann, understanding men, understanding women. Husbands, are you trying to be so much of a man that you aren’t letting your wife be a woman? After God created Adam, He declared that a “helper” was needed for the man. The term helper was not meant to lower the role of women because, in fact, God himself is called a “helper” many times in the Old Testament. Many men have adapted to the American cultural ideal that a man should be independent, unemotional, and self-sufficient. One big problem is that we are robbing our women of the chance to be what God created them to be. Being the tough guy may actually be hurting your wife, not impressing her. Perhaps it’s time for husbands to let your wife be the helper she was designed to be. Perhaps men need to learn that we truly do need our wives. Posted by occhristiancounseling in attachment, development, Dr. Debi Smith, emotions, recommended reading, research, understanding men. Exploring the impact of maternal attachment on the emotional and social development of boys, Dr. Smith uses Attachment Theory to elucidate and integrate aspects of the mother-son relationship from birth through adolescence. An overview of Attachment Theory is followed by several perspectives on male development. Building upon the concept that this primary attachment is one of life’s most significant relationships, exploration of the mother-child relationship gives particular attention to its specific impact on male children and their emotional development. The issue of nature and nurture is addressed, as is the complex topic of boys and vulnerable emotions, with particular emphasis on guilt, humiliation, and shame; anxiety and depression; and anger and rage. Implications for clinical treatment of attachment difficulties are summarized, as well as implications for mothers and their adult sons. Posted by occhristiancounseling in classes, Dr. Debi Smith, Events, Q & A, recommended reading, research, stonewalling, understanding men, understanding women. Cancel the conflict and make the connection for a Happy Holiday with info you’ll learn from Relationship Expert Dr. Debi Smith! Register by clicking the link below. As soon as we get it set up, we’ll send you the login info. And if all goes well, we’ll make the recording available for you, too! How cool is that? Posted by occhristiancounseling in recommended reading, research. 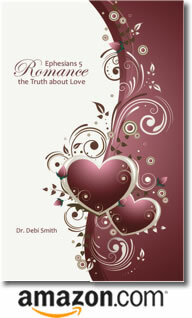 Posted by occhristiancounseling in dating, Dr. Debi Smith, research, understanding women. Women are different by nature. We can’t help it. We were born that way. And truth be told, you guys like us this way. In fact, there’s no one you would rather dance with than a girl, right? But that’s not really what you want. You love the fact that she’s emotionally sensitive and not as big or as strong as you are. But you’re also very confused that so much depends on how she feels. And she feels a lot. And she can talk forever and ever and never get to the point. She looks to you to solve problems for her … sometimes. But just as often, she gets angry if you try to solve a problem for her … especially if her feelings are involved. Sheesh. What you probably don’t realize is just how differently she’s been treated her entire life … just because she’s female. From the moment her expectant parents found out she was a girl, she has been viewed as sweet and delicate. For example, as a toddler, she got picked on by another child at the park, and her mom or dad moved in quickly to intervene. She was given lots of comfort, understanding, hugs and kisses, and reassurance that she was cared for. Her tears meant something – helping her communicate that something was wrong. She felt like she mattered. Childhood was a very different experience for her than it was for you. She was probably trained to be a pleaser. At the very least, she learned that nice girls never come right out and ask for what they want, that they take turns, and that they must always consider how other people might be feeling. So she learned to use a very tentative language, which now to you seems vague at best and just plain crazy-making at its worst. She knew another girl was her best friend because they shared secrets with one another. Unlike your childhood friendships that focused on shared activities among a whole gang of guys, two-by-two proved to be the best pattern for her. Add a third girl to the equation, and it was an emotional disaster waiting to happen. Sounds weird, huh? As if the tearfulness and the vagueness and the secret-sharing aren’t enough, the differences between male and female communication are extensive. You wouldn’t think the same English words could hold such different meanings for two people brought up in the same culture, but they do. Posted by occhristiancounseling in Dr. Debi Smith, understanding men. Men don’t forgive themselves. It doesn’t even matter if their error exists only in their own minds. Have you ever noticed that? I have. I see it a lot. It’s no wonder this is a struggle for men … given the way they are raised. Most men are repeatedly told – from an early age – all that they’ve done wrong, with very little affirmation of what they’ve done well. We train them to be self-critical. Add to that the reality that they shoulder so much responsibility as our leaders, and you have guys whose thoughts are filled with negative dialogue. Not only do they listen to a constant loop of instant replays about all they’ve done wrong, but also what they failed to do altogether, plus all the “what if’s” of life … What if I don’t make enough money, lose my job, don’t take good care of my family, get sick, earn respect, perform sexually, die? As wives, we are created to be our husband’s “rescuer” (Genesis 2), so it’s important that we know exactly how to do that … and how to do it really well. So much of his success depends on our walk with the Lord and our desire to become the woman that our man needs us to be. One essential way we can rescue (be supportive) is to pray for our husbands. And most of the time, our prayers don’t need to be announced to the men: They remain between us and the Lord. When my husband hears old voices of condemnation, enable him to rise up and silence them with Your Word. May he think of his past mistakes as a History lesson, and not as a guide for his future life. Posted by occhristiancounseling in emotions, understanding men.